Allah has a link to an interview with Ayaan Hirsi Ali. I especially like the part where the interviewer treats her like some quaint little creature who just crawled out of a propoganda school to spout cliche’s, only to be on the recieving end of this quote. And she’s . . . I wouldn’t say hot, but definately there is something VERY adorable about her. 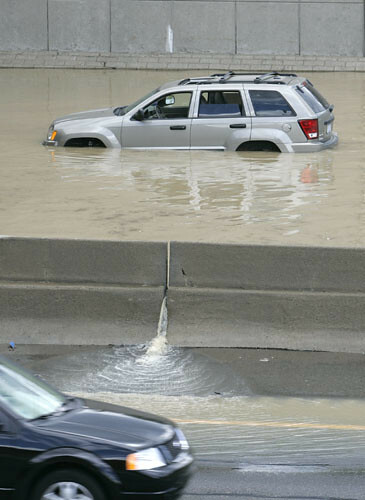 I survived the Chicago Flood of 1992. Little did I know that just fifteen years later, I would be faced with another inundation of the deadly dihydrogen monoxide. 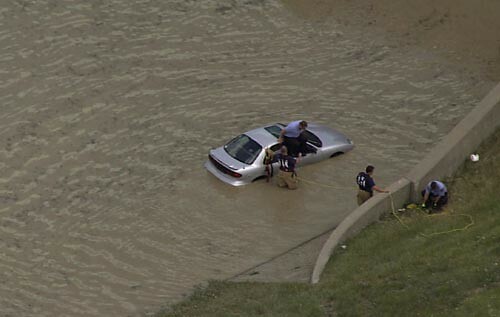 LIVONIA — A freakishly massive water main break stranded motorists atop cars Thursday, closed I-96 for hours and prompted water shortage worries in the western suburbs. It started when a crack appeared in the main along the eastbound I-96 service drive, Schoolcraft Road. 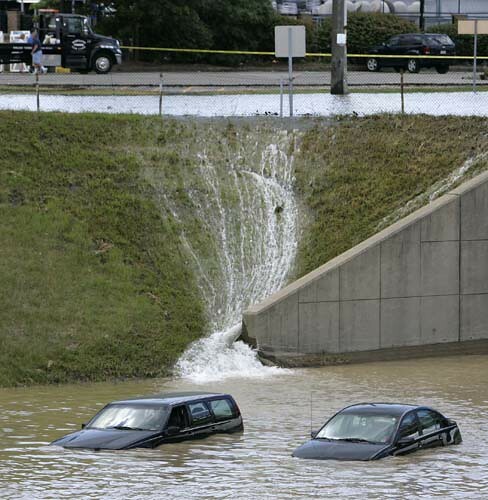 The pipe is reinforced with steel and concrete, but burst just 1½ miles away in 2003, said Terrence King, assistant director of the Detroit Water and Sewerage Department. 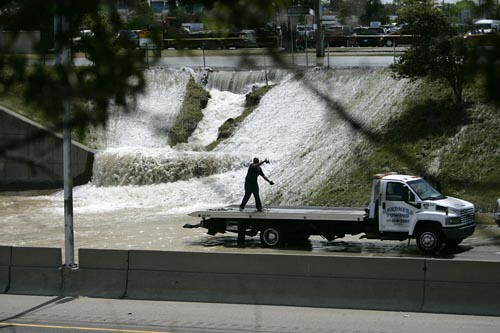 Pumping at 120 pounds per square inch, the water blew a 15-by-15-foot hole in the service drive, sending a fast-moving waterfall onto eastbound Interstate 96. 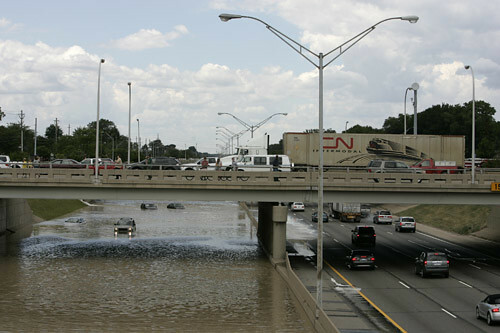 Within 90 minutes, both directions of the interstate were closed. 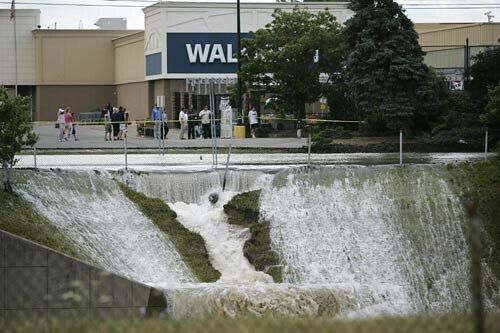 “It started to bleed up from the ground,” said Tim Richards, a water and sewer supervisor for Livonia. 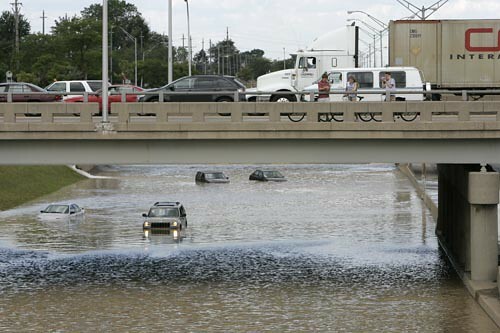 Passer-by Jordan Gray, 18, of Livonia witnessed the chaos from Schoolcraft and Middle Belt. 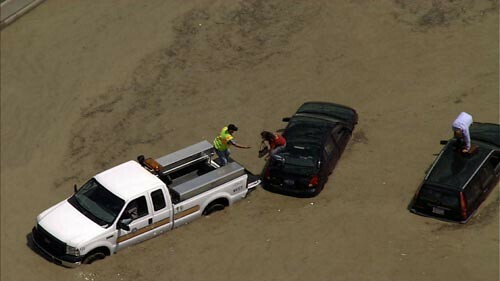 King maintained that crews erected cones and other barriers that stranded motorists ignored.